Roll out the peas. Plate is for Pea is a plate and after dinner game in one. 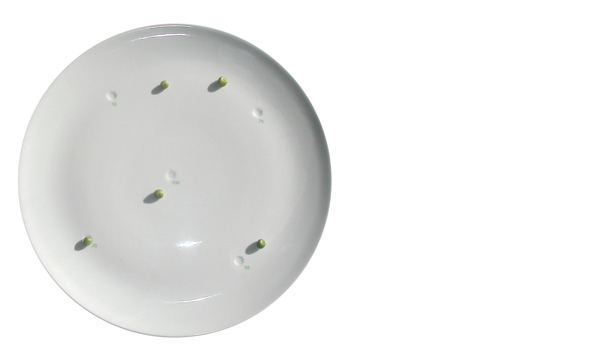 Have you ever wondered what to do with peas that have pinged off your plate? Then this is the plate for you. Attempt tricks from the accompanying booklet and score as many points by flicking, rolling or even spitting peas into the numbered dimples.